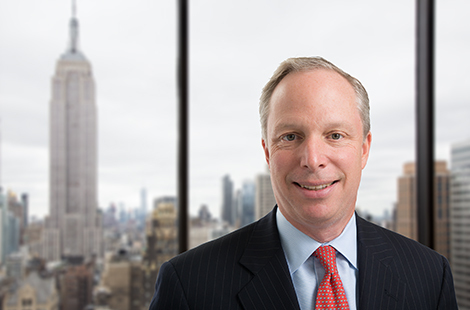 Fritz Thomas has primary responsibility for investment product development and client coverage. Mr. Thomas is a member of OHA’s ESG, risk and compliance committees. Prior to joining OHA in 2008, Mr. Thomas worked at Deutsche Bank for ten years, most recently as Managing Director and head of global distribution for CDOs and other alternative products. Until his return to New York from London in June 2008, his duties also included management of Deutsche Bank’s European CDO platform. He previously worked at Bankers Trust Company, where he structured and syndicated corporate loans before joining the CDO Group. In addition, Mr. Thomas worked at Chemical Bank in a corporate lending function. He earned an M.B.A. from The Wharton School of the University of Pennsylvania and a B.A. from the University of Pennsylvania.